Sixteen-year-old Sarah can't draw. This is a problem, because as long as she can remember, she has "done the art." She thinks she's having an existential crisis. And she might be right; she does keep running into past and future versions of herself as she wanders the urban ruins of Philadelphia. 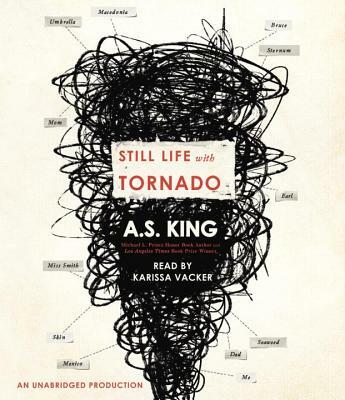 Or maybe she's finally waking up to the tornado that is her family, the tornado that six years ago sent her once-beloved older brother flying across the country for a reason she can't quite recall. After decades of staying together "for the kids" and building a family on a foundation of lies and domestic violence, Sarah's parents have reached the end. Now Sarah must come to grips with years spent sleepwalking in the ruins of their toxic marriage. As Sarah herself often observes, nothing about her pain is remotely original—and yet it still hurts.